The medical robots market is projected to reach USD 16.74 billion by 2023 from an estimated USD 6.46 billion in 2018, at a CAGR of 21.0%. The report “Medical Robots Market by Product (Instruments & Accessories, Medical Robotic Systems (Surgical Robots, Rehabilitation Robots, Non-invasive Radiosurgery Robots)), Application (Laparoscopy, Pharmaceutical Applications), and Region - Global Forecasts to 2023". The major market players in the medical robots market include Intuitive Surgical (US), Stryker Corporation (US), and Mazor Robotics (Israel). 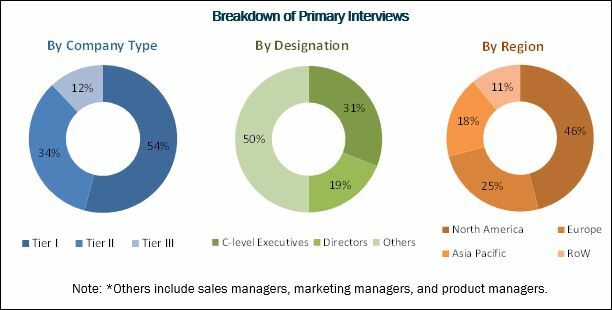 Other players in the medical robots market include Hocoma (Switzerland), Hansen Medical (US), Accuray (US), Omnicell (US), Arxium (Canada), and Ekso Bionics Holdings (US). Our 850 fulltime analyst and SMEs at MarketsandMarkets™ are tracking global high growth markets following the “Growth Engagement Model – GEM”. The GEM aims at proactive collaboration with the clients to identify new opportunities, identify most important customers, write “Attack, avoid and defend” strategies, identify sources of incremental revenues for both the company and its competitors. MarketsandMarkets™ now coming up with 1,500 MicroQuadrants (Positioning top players across leaders, emerging companies, innovators, and strategic players) annually in high growth emerging segments. MarketsandMarkets™ is determined to benefit more than 10,000 companies this year for their revenue planning and help them take their innovations/disruptions early to the market by providing them research ahead of the curve.